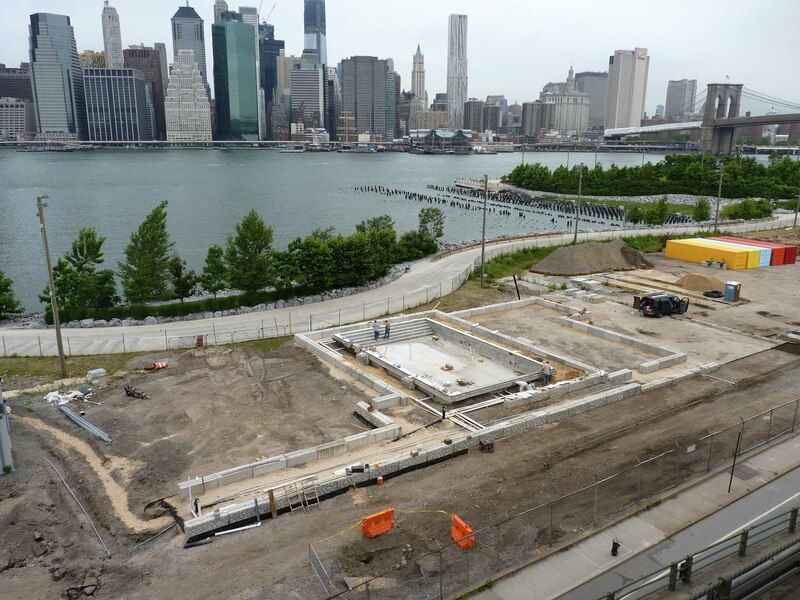 NYC Fieldhouse, the group offering to underwrite a $40 million recreational and cycling facility (Velodrome) in Brooklyn Bridge Park near Pier 5, will be holding a fourth community forum to discuss the project. This latest forum will take place on Wednesday, July 11 in the cafeteria at P.S. 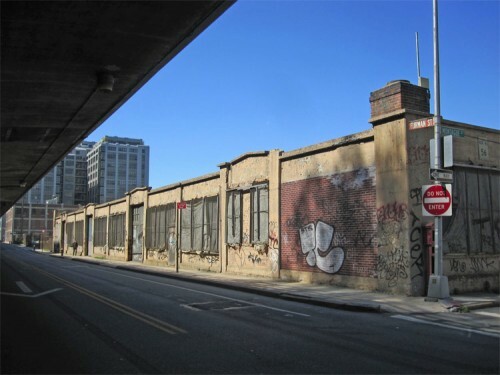 307, located at 209 York Street in Vinegar Hill / DUMBO, from 6:30-8:15 p.m.
Fieldhouse staff, along with the facility’s architect and representatives of Brooklyn Bridge Park, will be on hand to discuss the project and listen to the community’s comments on programming and overall design. The Fieldhouse is envisioned to include a 200-meter inclined track for cycling and a 22,000 sq. ft. infield for high school, collegiate or professional sporting events (basketball, tennis, track, etc.). It also includes amenities such as a public boathouse, public restrooms, and maintenance and operations space for BBPC. To date, Fieldhouse staff have conducted three forums – one at Long Island College Hospital in Cobble Hill, the second at South Brooklyn Community High School in Red Hook, and the third at St. Francis College in Brooklyn Heights. 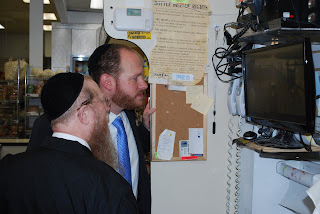 More about Rechnitz and NYC Fieldhouse here. The Brooklyn Eagle has photos of the giant sink hole that opened up on the sidewalk in front of a 92nd St. yesterday. The paper quotes a resident reported watching in shock as the sink hole literally swallowed a whole tree that stood on the sidewalk and sucked it below ground. The block of 92nd Street between Third Avenue and Ridge Boulevard is closed as emergency crews deal with the massive crater. 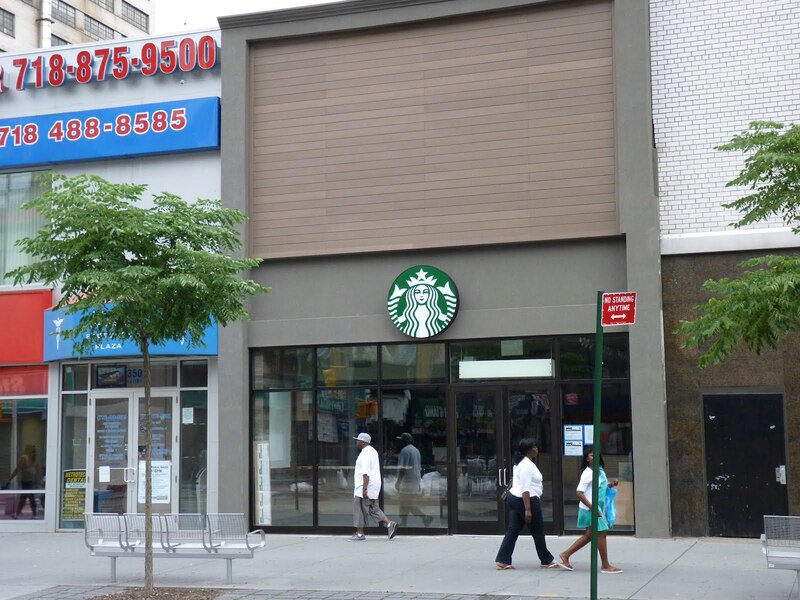 One of the longest-running jokes on Brooklyn blogs is the old "a Hooters is opening in our neighborhood" gag. Everyone has a good laugh, wipes their eyes and moves on. 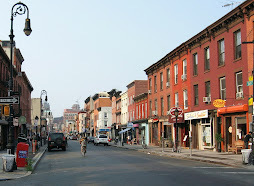 “I don’t know whether it’s a cultural clash or a clash in values, but it’s not the kind of establishment people would expect to find in Brownstone Brooklyn,” said CB6's Craig Hammerman. Best lines of the story in the News: "A group called Save Park Slope declared war on Twitter Monday. 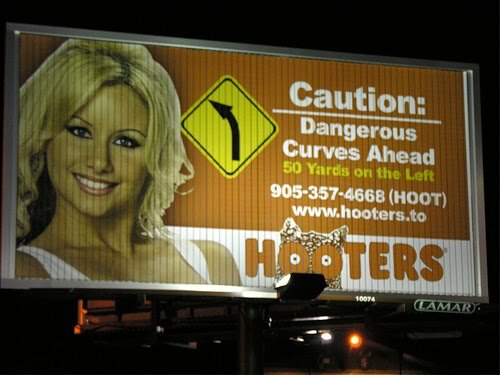 'We will fight Hooters on all fronts,' the group tweeted." A big, sad breasterant story at the Eagle. It's early yet, but the DUMBO Arts Festival just sent us a presser about this year's event, which takes place September 28 – 30, 2012. We were just going to stick this in the "later" file but we saw this photo on the press page and really liked it. So here's the blurb: This year the festival -- an amazing mix of art, music, performance and spectacle -- presents works by more than 500 artists, with 100 open studios, 50 galleries and stages, and 100 programming partners. The number of open studios seems to be shrinking (wasn't it 150 last year?) Other than that, it's our favorite event of the year. 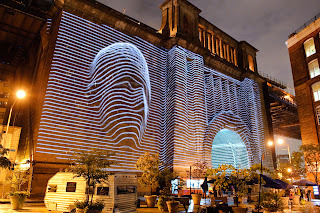 - DUMBO Arts Festival 2010. Not only are your landlords frying your brains -- they may not be paying taxes on those rooftop cell phone towers, either. City Comptroller John Liu and State Comptroller Thomas DiNapoli said yesterday that New York City’s Department of Finance failed to collect an estimated $24 million in property taxes from property owners who neglected to report income from cell phone antennas. That income can add up. The Dept. of Finance estimates that properties north of 125th Street and in the "outer" boroughs make about $2,000 a month per cell carrier that leases space. South of 125th Street, properties make an estimated $4,000 per month. For some reason Brooklyn had the highest number of cell tower scofflaws, at 602. Manhattan came next, with 594. In Queens, the comptrollers uncovered 489 cell cheats; the Bronx had 363 and Staten Island had 60. "This audit clearly outlines how the Finance Dept. can recover $24 million. That's real money that can stave off anything from tax increases to cuts in public services,” Comptroller Liu said. “The audit findings released today show that with a little creativity and ingenuity the city can benefit tremendously," Comptroller DiNapoli said. - Brooklyn author talks about the brighter side of fear at TED conference. Brooklyn Eagle And more here. 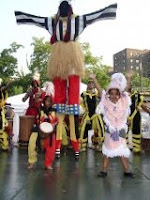 On Saturday, June 30th the Brooklyn Children's Museum will celebrate and close out Caribbean Heritage Month. In collaboration with West Indian-American Day Carnival Association (W.I.A.D.C.A. 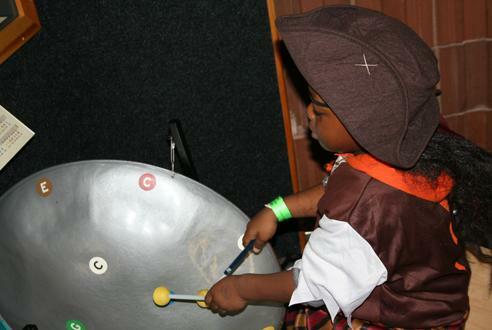 ), the Museum’s second annual Kiddies Caribbean Carnival Fiesta features tasty cuisine by renowned chef Shorne Benjamin, live entertainment by SOCAMOTION, a steel pan workshop with Ricardo Greenaway and an all-out kiddies carnival parade. Come dressed in carnival costume regalia. 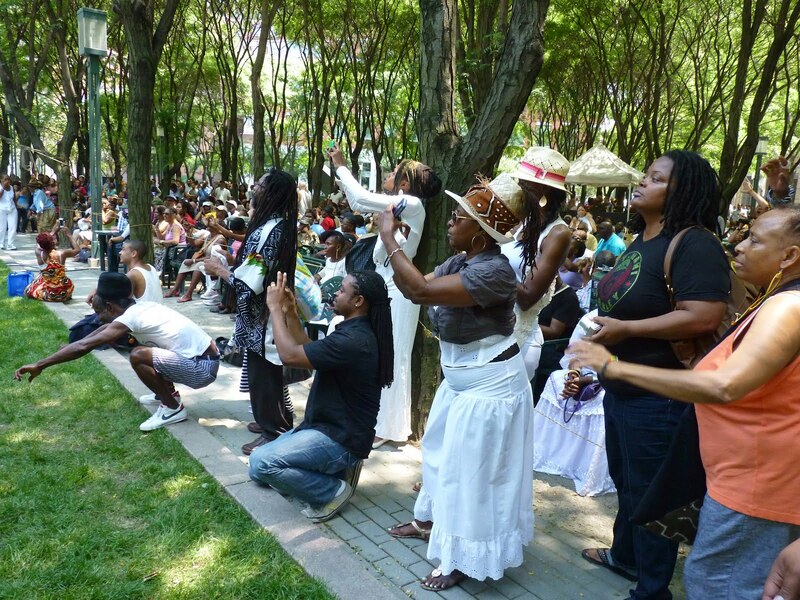 The 41st Annual International African Arts Festival (IAAF) will take place Saturday, June 30 through Wednesday, July 4, 10 AM – 9 PM rain or shine at Commodore Barry Park (Navy Street at Park and Flushing Avenues) in Brooklyn. The theme of this year’s IAAF is Baadenyya (baa-deny-ya); its English translation means brotherhood and sisterhood. Activities include chess tournaments, magic shows, fashion shows, exercise and dance demonstrations, face painting and more. The African Marketplace features African inspired home accessories, furniture, art, clothing, jewelry, cosmetics, food etc. Each day has a theme: Afro Latin Jazz sensation Cita Rodriquez, Daughters of Makeba Ensemble, Universal African Dance & Drum Ensemble are just a few artists scheduled to participate in Saturday’s opening day’s “Tribute to Women in the Arts”. Minimum donations of $3 per adult and $1 per child for admission. More info here. Notification issued from Notify NYC 6/27/12 at 2:05 PM. Emergency personnel are responding to a construction incident at the World Trade Center near Church Street and Cortlandt Street. As a result of falling debris, the following streets are closed to both pedestrian and vehicular traffic: Trinity Place from Thames Street to Cortland Street; Liberty, Cedar, and Thames streets between Broadway and West Street. 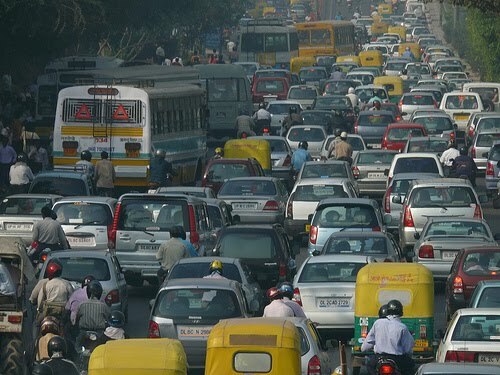 Traffic may back up near Brooklyn Bridge routes. There are no injuries. Expect a heavy emergency service presence in the area. UPDATE2:All's clear at 9:15 p.m.
- Carroll Gardens Patch live blogged last night's Barclays Center Operations round table discussion at Borough Hall. 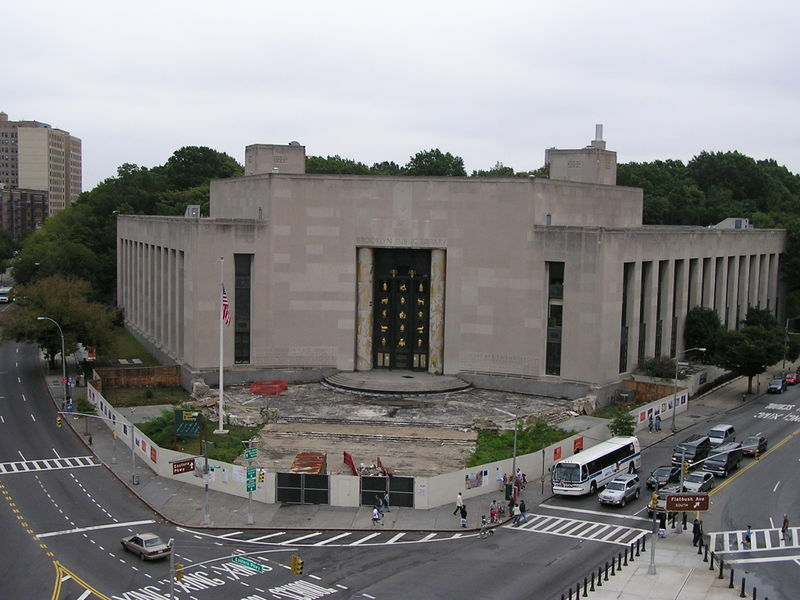 Part of Mayor Bloomberg's panic-inducing budget proposal called for cutting $27 million dollars from Brooklyn Public Library in 2013 -- or one third of its entire operating budget. Late Monday a deal was worked out by the Mayor and the City Council that would restore $25 million of those cuts. Linda E. Johnson, President and CEO of Brooklyn Public Library issued a very polite statement saying, "Thank you to the countless patrons, volunteers, staff members and elected officials who advocated on the Library's behalf. Your dedication to our cause is the reason why we will be able to keep our doors open and continue to serve our communities." While we're all thankful, we'd like to ask the Mayor: What kind of idiot would cut one third of the budget from a major metropolitan library threatening every single educational program for its children and irreplaceable resources for business and taxpayers -- when it wasn't necessary? How can this possibly be construed as rational governing? The same budget nonsense went on with countless essential city programs and services that were eventually restored. So now that we've all ignored our day jobs and disrupted business trying to save the library, fire houses, child care, after-school programs and teachers, the pretend crisis that had the whole city lurching around trying to save itself just disappeared. The Mayor plays his governing games, having one hand of the city fight its other hand in fruitless, time- and money-wasting battles. The charitable view is that good government bores him. We'd hate to think he has a nefarious goal in all this disruption -- like keeping people who really care too busy to notice things like no-bid contractors looting the city's coffers of billions of dollars. * NY1 declares Congresswoman Nydia Velazquez the winner in the Democratic primary for the Congress seat in Brooklyn's 7th District. At midnight Velazquez had 62 percent of the vote, vs. 25 percent for Erik Dilan; 10 percent for Dan O'Connor; and 3 percent for George Martinez. 2 a.m. UPDATE: The NY Times updates these figures: Velazquez has 58 percent; Dilan at 31 percent; O'Connor at 8 percent; and Martinez at almost 3 percent. * The Working Families Party reported that Yvette Clarke won in the 9th District (Crown Heights, Prospect Heights, Flatbush, Brownsville Prospect Park and Sheepshead Bay) against opponent Sylvia Kinard. 2 a.m. UPDATE: Clarke at 88 percent; Kinard at 12 percent. * Hoping to challenge Senator Kirsten E. Gillibrand were three Republicans: Bob Turner, a member of the House (Brooklyn /Queens);. Wendy E. Long, a Manhattan lawyer; and George Maragos, the Nassau County comptroller. At 1 a.m., the NY Times calls it for Long. Construction of a new Starbucks coffee shop is moving along quickly at 348 Fulton St. in Downtown Brooklyn -- not far from Shake Shack. Who's Running in Today's Elections in Brooklyn? Today is Election Day, June 26. It's important to get out and vote or we may get some nasty surprises. Incumbent Rep. Nydia Velazquez has been endorsed by President Barack Obama, Sen. Chuck Schumer, Gov. Andrew Cuomo, the New York Times and Assembly Majority Leader Sheldon Silver. Opposing her is Councilman Erik Martin Dilan, supported by Brooklyn Democratic party boss Vito Lopez. Also running: Occupy Wall Street member George Martinez; former district leader Daniel O'Connor. Assemblyman Hakeem Jeffries is fighting City Councilman Charles Barron. Jeffries has been endorsed by Ed Koch and Gov. Andrew Cuomo. Barron, a black supremacist, is endorsed by former KKK head David Duke and unions. Incumbent Rep. Yvette Clarke has been endorsed by President Barack Obama. Sylvia Kinard is opposing her. The legendary Mx. 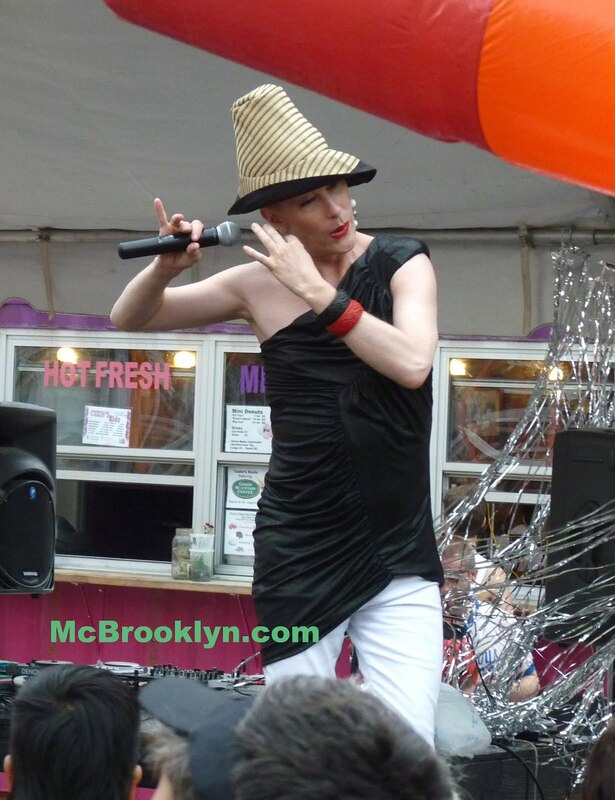 Justin Vivian Bond performed at Dekalb Market in Downtown Brooklyn (in front of the "Hot and Fresh" sign) during Sunday’s outre “Everybooty” party, celebrating Gay Pride Week. 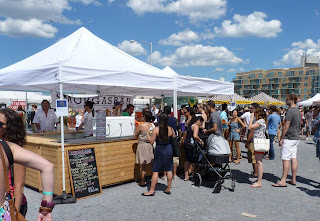 Build it and they will come: On Saturday "SmorgasBar" opened at the Williamsburg food destination Smorgasburg and we've never seen the place so packed. 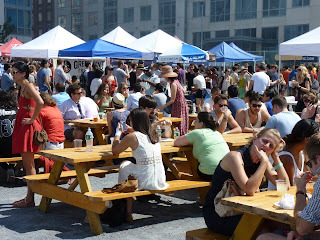 The bar (above) and tables (below) were set up inside a simple roped-off area. We got carded! Hilarious! The hot weather made beer very necessary. Organizers say that shade will be coming soon. The humongous Renegade Craft Fair also took place on Saturday, right next to Smorgasburg. We actually broke down and bought stuff. This jewelry made out of old skate boards was actually quite pretty. Giant outrigger canoes lined Main Street in DUMBO on Saturday for the 2012 Hawaiian Airlines Liberty Challenge outrigger canoe race. 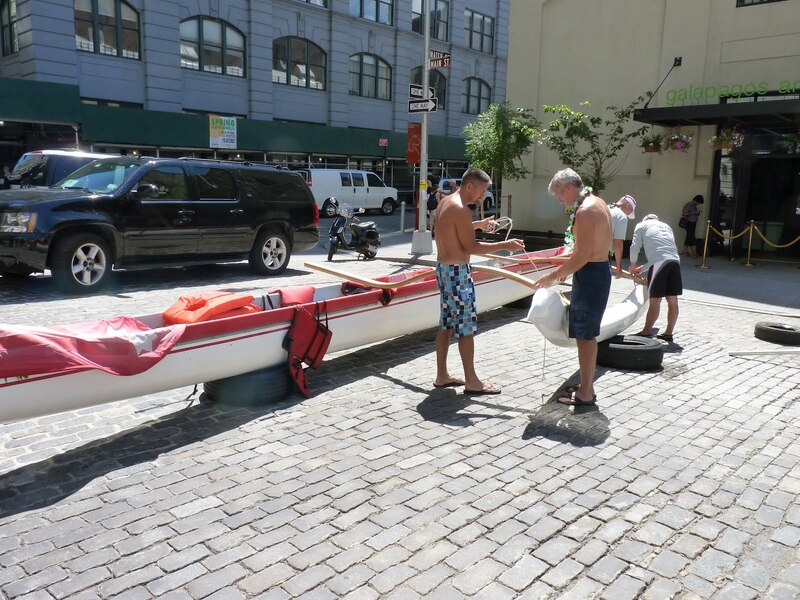 The event brought hundreds of paddlers from around the world. * Women's Open Champions: Hui Lanakila from Hawaii. * Women's Senior Masters Champions: Puuwai Outrigger from Wailea, Kauai, Hawaii. * Men's Masters Champions: Marina del Rey Outrigger from Marina del Rey, California. * Men's Senior Masters Champions: Manu’iwa Outrigger Senior Masters from Milford, Connecticut. * Men's Open Champions: Team Primo from the State of Hawaii. * Mixed Champions: New York Outrigger from New York, NY. Note the winner from New York! All the results are listed here. A fabulous fireworks display tonight -- at 10:30 p.m. Sunday, June 24, 2012 -- over New York City (and viewable from New Jersey and Brooklyn) celebrates Gay Pride Week, with events taking place on Manhattan's East side. 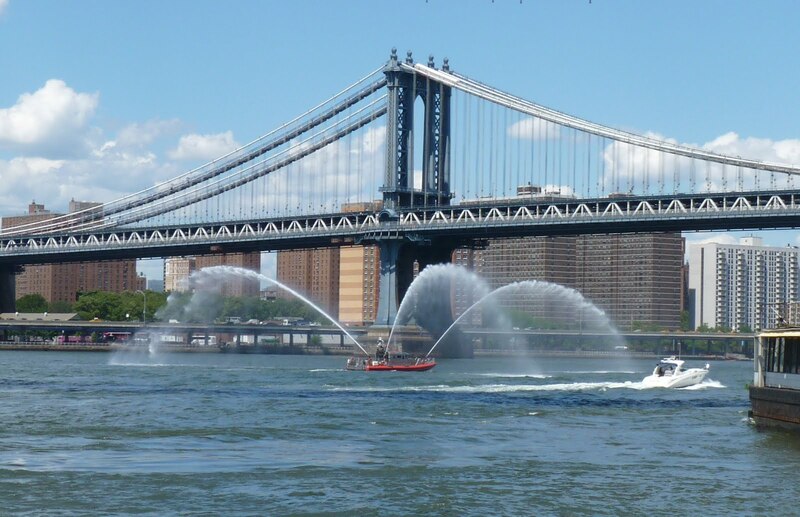 The fireworks will launch near Pier 54 in the Hudson River (near 14th Street). 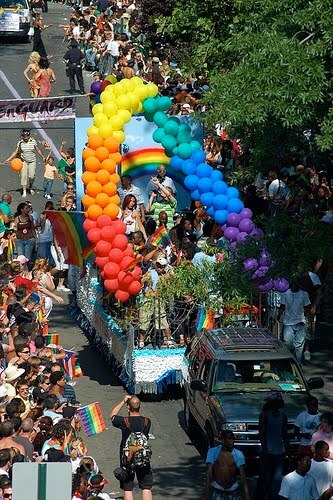 Other Gay Pride events today include the famous march (led by Cyndi Lauper, Chris Salgardo, Phyllis Siegel and Connie Kopelova), a street fair, a dance on Pier 57 and more. Ky-Mani Marley blew away a lunchtime crowd of hundreds that filled MetroTech Commons in Downtown Brooklyn for the first concert of BAM's R&B series this past Thursday. 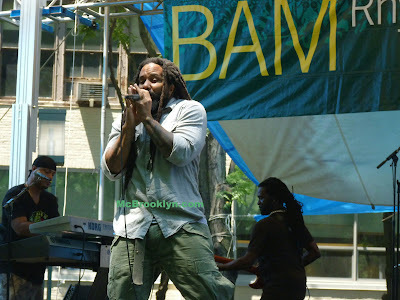 It was literally 100 degrees but the crowd was right with him as he performed classic reggae and modern hip-hop. Ky-Mani is the youngest of Bob Marley’s sons, and a huge talent in his own right. More about Thursday's concert here. Get ready for fireworks Saturday night (June 23) somewhere between 9:45 - 10:30 p.m. over New York Harbor, visible from New Jersey, New York City, Brooklyn and Staten Island. The display is being set off from Federal Anchorage at Ellis Island. It's all part of the B.I.G. (Believe in Girls) Celebration honoring "100 years of herstory" with the Girl Scouts of Northern New Jersey. 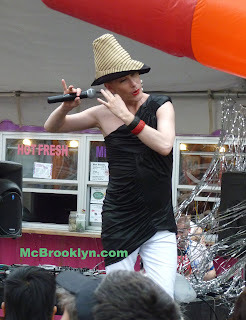 The day included 100 activities and performances at Liberty State Park by celebs Rachel Crow, Goodbye Friday, Savvy, Stephanie Marie, Bloom Joe Jonas (of the Jonas Brothers), Sara Bareilles and more. (Top cookie sellers got to have their photos taken with the stars.) 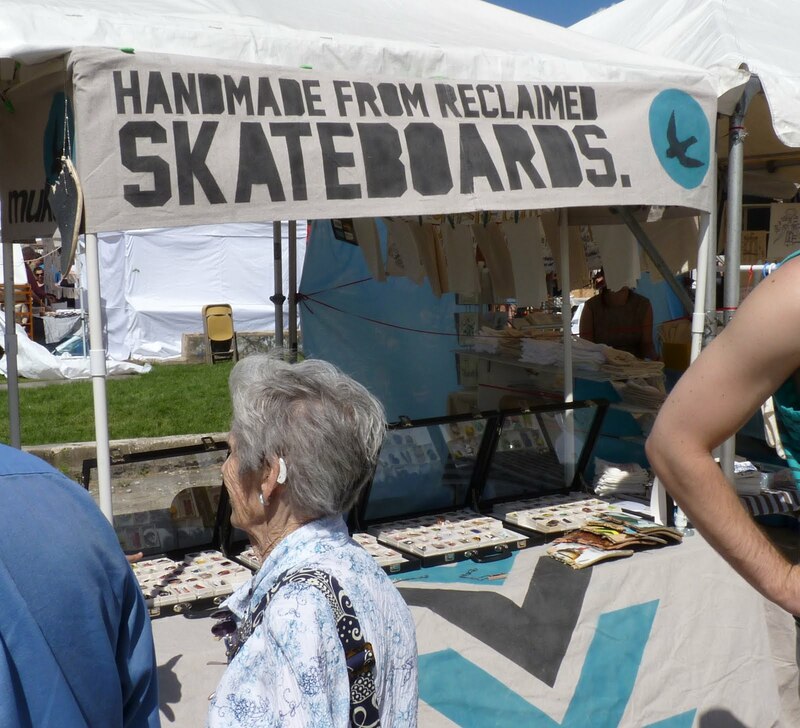 See all the other activities here. The girls, ever service-minded, helped the National Wildlife Federation plant native flower beds in Liberty State Park. One of Felix Hernandez' famous 'Rhythm Revue' dance parties is happening this Saturday, June 23 at Prospect Park's Grand Army Plaza (at Bailey Fountain), as part of the series Jazz: Brooklyn's Beat. WBGO Jazz 88.3 FM and Heart of Brooklyn are sponsoring the event. Felix Hernandez is WBGO's Rhythm Review host (and a Brooklynite). In 1991, Felix did his first Rhythm Revue Dance Party at Tramps in New York City. 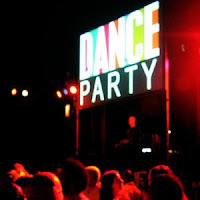 The party moved to the Roseland Ballroom, where it's been held since 1992. Felix's mix of classic soul, disco and funk consistently draws a crowd of 2,500 to 3,500 dancers. Council Member Letitia James will help kick off the event at 4 p.m. 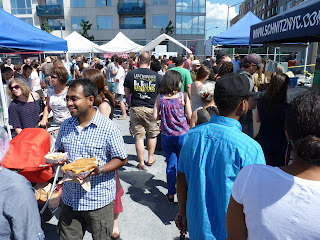 The party goes on till 7 p.m. All ages invited. After premiering at SXSW, Jonathan Lisecki’s New York-shot comedy Gayby will be making its New York premiere this weekend at back-to-back screenings at BAMcinemaFest (Friday, 6/22) in Brooklyn and Rooftop Films Summer Series (Saturday, 6/23) on the Lower East Side. Roughly 2,500 Con Edison customers in Brooklyn and Queens are without electricity Thursday night / Friday morning, June 22. * Windsor Terrace, Kensington, Borough Park, Flatbush, Bensonhurst, and Dyker Heights. * Sheepshead Bay, Marine Park, Gerritsen Beach, Midwood, Flatbush, and East Flatbush. * East New York, Cypress Hills, Highland Park, City Line and Starrett City. * Douglaston Manor, Douglaston, Little Neck, Bayside, Bay Terrace, Auburndale, College Point, Beechurst, Whitestone, Linden Hill, Murray Hill, and Queensborough Hill. * Broad Channel, South Ozone Park, Howard Beach, Lindenwood, Ozone Park, Richmond Hill, Woodhaven and Kew Gardens. The company has asked customers in these neighborhoods not to use appliances such as washers, dryers, air conditioners and other energy-intensive equipment and to turn off lights and televisions when not needed until the equipment problems are resolved. The company also has dispatched a community outreach van to Borough Park. 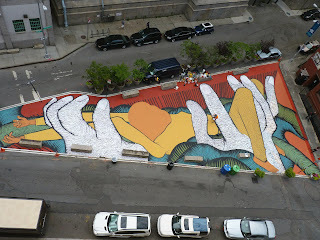 It is based at 50th Street between 14th and 15th Avenues. 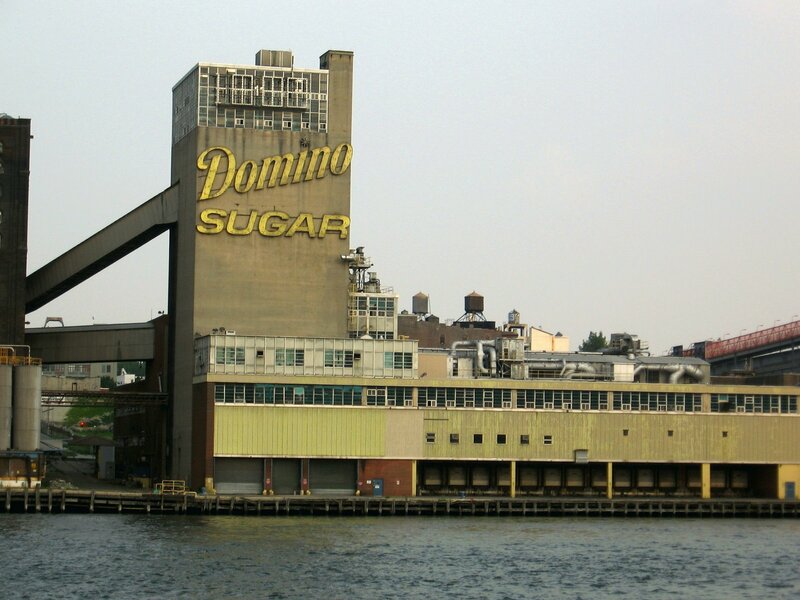 The Brooklyn Eagle, New York Times and other sources are reporting that Walentas' Two Trees Management agreed on Thursday to purchase the Domino Sugar refinery site in Williamsburg from [Community Preservation Corp.] C.P.C. Resources for $185 million. "The property’s owners, Community Preservation Corp. and the Katan Group, have engaged in a legal battle over development plans in recent months, and Katan is planning to block a sale to Two Trees." The original plan for the sugar factory called for the $2 billion development of 2,200 housing units, including 600 affordable ones. A four-alarm fire ripped through the 81st Street home of Bob Howe, president of the Merchants of Third Avenue business organization, destroying the home in which he and his family lived for 28 years, the Brooklyn Eagle reports. “Thank God for my neighbor. Thank God we got out in time,” Howe told the Eagle. Sadly, all of Howe’s belongings were destroyed in the blaze. New York City Fieldhouse /philanthropist Joshua Rechnitz has offered to underwrite the design and construction of a $40 million year round, multi-purpose recreational and cycling facility ("Velodrome") on the site of an aging storage building on Furman Street near Pier 5 in Brooklyn Bridge Park. One of several forums to learn more and share ideas on programming and design takes place on June 25 at St. Francis College, Callahan Center. 180 Remsen Street in Brooklyn Heights from 6:30 - 8:15 p.m. In addition, the Willowtown Association is sponsoring a special community meeting to discuss the project on Wednesday evening, June 27, at 7:30 at the Alfred T. White Center on Willow Place. We don't have further details about the June 25 meeting, but speakers at the June 27 presentation will include Greg Brooks, executive director of The New York City Fieldhouse Inc., and representatives of the donor and the architectural firm retained to design the center, Thomas Phifer and Partners. CB6 sends us notice that the question and comment period for the Atlantic Yards 'Traffic Demand Management' Draft Plan has been extended until Tuesday, July 3, 2012 at midnight. All documents about the plan can be found on the Atlantic Yards homepage (http://esd.ny.gov/AtlanticYards) and all comments and questions should be sent to AtlanticYards@esd.ny.gov. 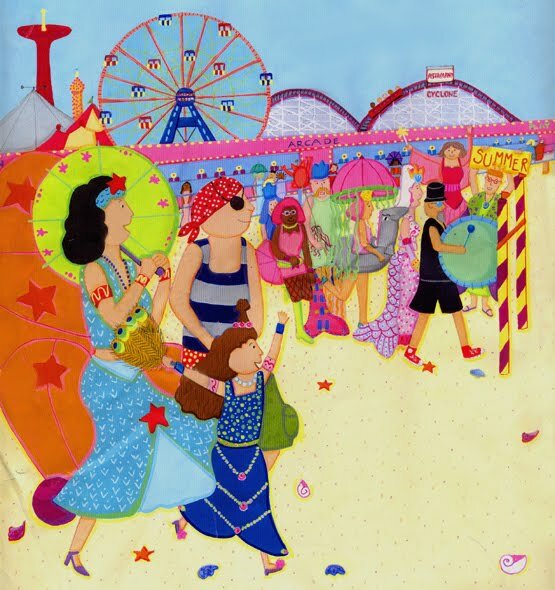 Brooklyn author and illustrator Melanie Hope Greenberg's blog "Mermaids on Parade" (named for her popular illustrated book of the same name) is in the running for a Fascination Award in the 'Art Teacher' category. Specifically, her post about the Betsy Bird Saturday Children's Literary Salon panel (called "Connect the Dots") was nominated. Check out her post and if you like it, help support a Brooklyn artist: By clicking on the nomination badge at the top right of the post you can contribute your vote. (You need to be using Google +) Voting runs through June 25. Power outages map updated 10:30 p.m.
Con Edison has reduced voltage by 5 percent -- causing "brownouts" -- to many neighborhoods in Brooklyn and Queens due to problems with electrical equipment. Additionally, scattered power outages are breaking out across Brooklyn and Queens. In Brooklyn, roughly 270 customers (see update below) have lost power as of 8 p.m. About 60 have lost power in Queens. UPDATE: More than a thousand customers were without power in Brooklyn at 10:00 p.m. Wednesday night, but that number is fluctuating. Several hundreds more lost power in Queens. 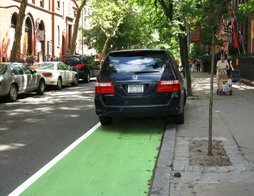 * Williamsburg, Greenpoint, Bedford Stuyvesant, Clinton Hill, Fort Greene and Park Slope. * Glen Oaks, Floral Park, Bellerose, Queens Village, Bellaire, Holliswood, Hollis, St. Albans, Cambria Heights, Laurelton, Springfield Gardens, Jamaica, South Jamaica, Jamaica Hills, Glendale, Forest Hills, Forest Hills Gardens, and Middle Village. Con Edison has asked customers in these areas not to use appliances such as washers, dryers, air conditioners and other energy-intensive equipment and to turn off lights and televisions when not needed until the equipment problems are resolved. You can keep refrigerators on, but keep refrigerator and freezer doors closed to help save energy. Customers can report power interruptions or service problems as well as view service restoration information online at www.conEd.com. Customers may also call Con Edison at 1-800-75-CONED (1-800-752-6633). When reporting an outage, customers should have their Con Edison account number available, if possible, and report whether their neighbors also have lost power. 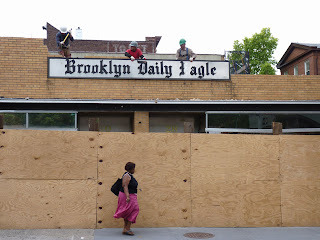 Construction workers removed the Brooklyn Daily Eagle sign from the newspaper's old headquarters at 30 Henry Street in Brooklyn Heights yesterday. Brick by brick, the building is being demolished to make room for a new, five-story condo. 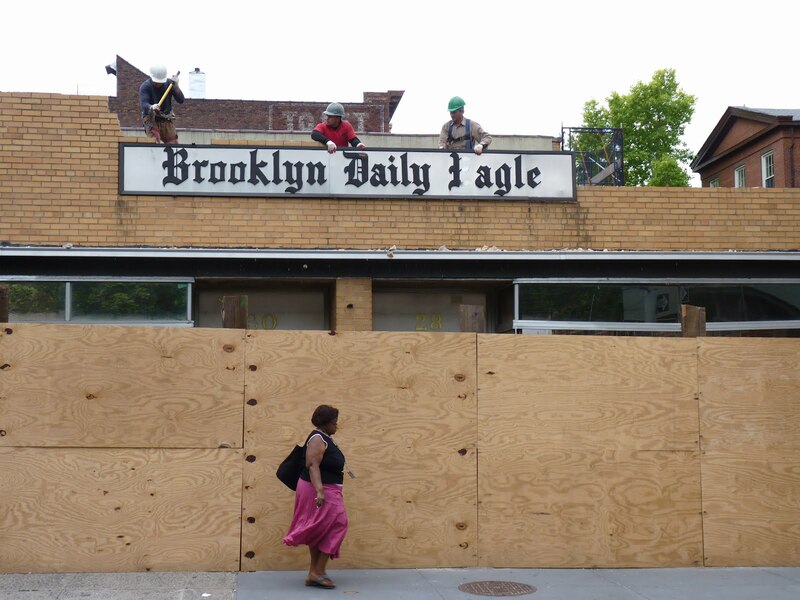 The Brooklyn Eagle has moved to DUMBO and 16 Court Street, with another office in Bay Ridge. The "Pop Up Pool" near Pier 2 in Brooklyn Bridge Park is under construction, as seen from the Brooklyn Heights Promenade. The pool will open in July and the surrounding area will include a beach, a deck, food and drink concessions, picnic tables, and showers and restrooms. What Is Going On at Brooklyn School JHS 78 Roy H. Mann? Yesterday we read that a Brooklyn teenager was blinded in one eye after being assaulted in the cafeteria at Roy H. Mann Junior High School in Bergen Beach. * "Me and my friends are constantly getting picked on or physically harassed by other students with no help from teachers." * "Sending my child to this school was the worst thing I ever did. The teachers for the most part do not care and my child is not even safe there anymore.. Grade F."
* "The children are out of control because the faculty seems to not care." * "I cant wait to say goodbye to all those mean and extremely rude unkind and uncaring teachers and those animals aka 'children.'" Less than a year ago a boy died after falling down the school chimney after climbing scaffolding to the roof -- apparently, a common excursion for students. What is going on here? Where are the grownups at Roy H. Mann? Get all the mouth-watering details here. Did you miss the Brooklyn Nets Dance Team's final audition? So did we. Thank goodness there is a video of the winners. They're not actually from Brooklyn but anyway. They will be shaking it for the Brooklyn Nets at Barclays Arena. The dance team's new name is the Brooklynettes. Get it? On Saturday representatives and Transportation Workers joined in a rally in front of the Ulmer Park Bus Depot in Brooklyn to protest cuts to the B64 bus line, which runs between Bensonhurst and Bay Ridge. Democratic State Senate candidate Andrew Gounardes, Assemblyman William Colton and Transportation Workers United Local 100 said that service reductions on the B64 line have especially affected senior citizens, the disabled, and school children who rely on the bus line on a daily basis. They want the MTA to restore full service to the B64 south of Harway Avenue/25th Avenue. Gounardes said in a statement that the issue here is not just cuts to the B64 but the way the MTA makes decisions in general. “The time has come for the people of southern Brooklyn to reclaim their transportation system. For too long, we've watched as an unaccountable MTA chipped away at our bus and train service and tone-deaf Albany politicians tried to cut transit even more. This March - while riders from Bath Beach to Marine Park struggled to get just to get to their doctors, schools, and jobs - State Senator Marty Golden and his fellow Republican leaders in Albany tried to cut $770 million in MTA funding!" He added, "We have almost no say in how funds are spent or priorities determined . . . We need to find a permanent revenue source for our public transit system and not let the fate of our subways and buses be subject to the politics of budget games in Albany." The city's Department of Education admitted on Friday that toxic PCBs are indeed dripping from contaminated lighting fixtures at two Carroll Gardens schools. DOE told the Brooklyn Eagle that the city would remove leaking fixtures from P.S. 146 Brooklyn New School and M.S. 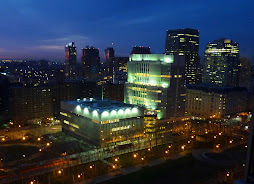 448 Brooklyn Secondary School for Collaborative Studies (at 610 Henry Street) early next week. Parents, representatives and advocacy organizations have been holding protest marches and signing petitions since the beginning of the school year but couldn't seem to catch DOE's attention. The Eagle reports that hundreds of schools across the city have PCB-containing lighting fixtures and caulk. PCBs (polychlorinated biphenyls) have been linked to cancer, respiratory, endocrine, reproductive and immune disorders. President Obama endorsed Representative Nydia Velázquez, a 20-year veteran of Congress (7th Congressional district), for reelection and urged Brooklynites to vote for her in the June 26th primary and again in November. "For the past two decades, Rep. Nydia Velázquez has been a constant advocate for middle-class families, helping to create an economy built to last where everyone has an opportunity to achieve the American Dream," said the President, in a release sent to us by the Congresswoman's office. Obama said that Velázquez has worked to create middle-class jobs through community projects, provide affordable housing, and invest in education. 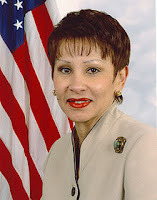 Congresswoman Velázquez is currently serving her tenth term as Representative for New York's 12th Congressional District, now known as the 7th CD. In the 112th Congress, she is the Ranking Member of the House Small Business Committee and a senior member of the Financial Services Committee. In 1992, she was the first Puerto Rican woman elected to the U.S. House of Representatives. 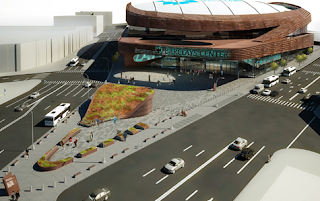 More than 9,300 people applied for jobs at the Barclays Center, opening Sept. 28 in Brooklyn according to Atlantic Yards Report, quoting Crain's (subscription). Job seekers heard about the work from postcards mailed to Housing Authority residents by developer Forest City Ratner, which also visited local churches. About 2,000 jobs are available; roughly 1,900 are part time and 100 full time. Atlantic Yards Report asks, "Does this mean the arena's a savior, or that Brooklyn has a lot of unemployed people?" Many of the jobs are likely at the Barclays' many bars, nightclubs and restaurants which will spill thousands of drunken, brawling patrons out into the surrounding residential streets at 2 a.m.
Brooklyn Bridge Park Corporation is set to vote next Tuesday on a developer to construct a hotel and condo building at Pier 1, and Brownstoner links to stories in Crain’s and The Times that report that two of the seven original RFP respondents will be awarded the job as a team. “The team…will likely be made up of Toll Brothers and Starwood Capital Group, according to sources,” Crain’s says. More here. Councilman David G. Greenfield reviews security footage. Borough Park, Brooklyn residents woke up this morning to find swastikas painted on at least a half-dozen buildings throughout the neighborhood. Councilman David G. Greenfield is offering a $1,000 reward for information leading to the arrest and conviction of the individuals responsible. 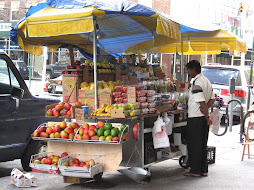 Borough Park (also spelled Boro Park) is home to one of the largest Orthodox Jewish communities outside of Israel. Council Greenfield's office said that swastikas were discovered early this morning spray painted on at least six buildings in the vicinity of 16th Avenue, including a synagogue, a public school and several businesses. The NYPD is investigating this hate crime against Brooklyn’s Jewish community, including reviewing security footage from local businesses. “Once again, we find ourselves under attack from individuals who think nothing of spreading hate and fear throughout the community. This is absolutely unacceptable, especially in an area that is home to so many Holocaust survivors," Greenfield said. UPDATE: Public Advocate Bill de Blasio said this morning, "Cameras on the streets have proven their worth by catching footage of the perpetrators, and they will face consequences for what they’ve done." Anyone with information is urged to call the NYPD’s confidential tip line at 1-800-577-TIPS. 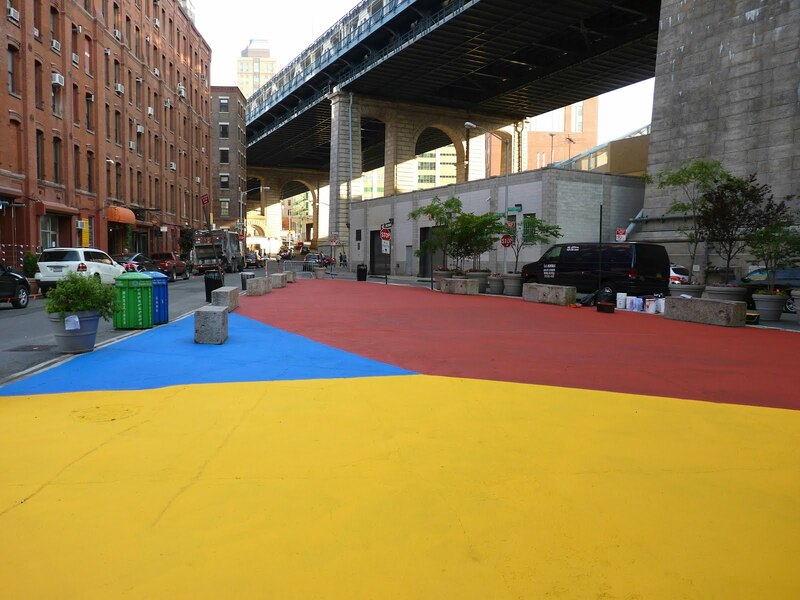 Remember all that talk about DUMBO's "iconic green" Pearl Street Triangle? Well as of Thursday the green is plumb gone, replaced by broad sections of color. 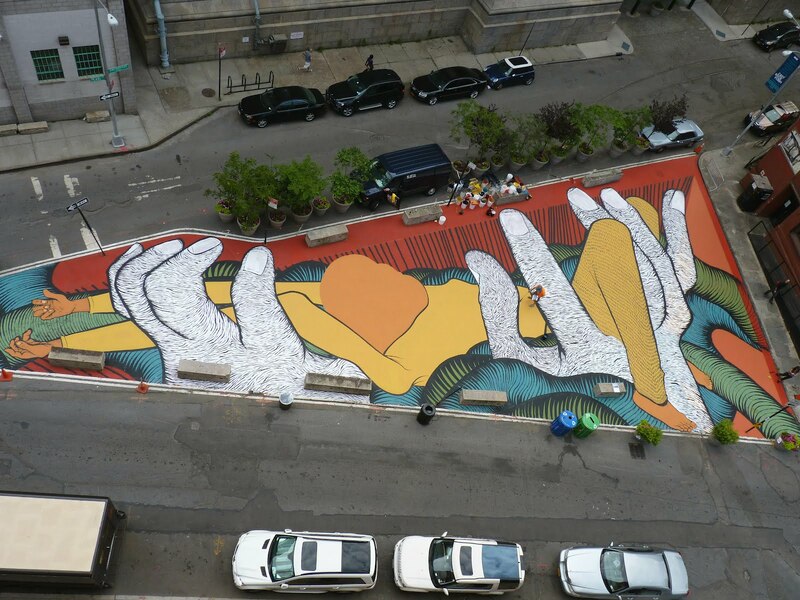 It seems that Brooklyn artist David Ellis is painting an ever-changing mural. 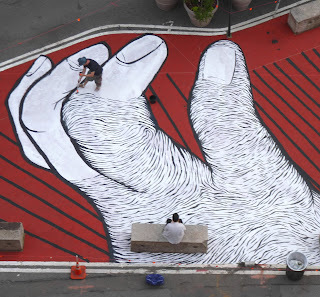 According to the Brooklyn Eagle, Thursday was Day 1 of a four- or five-day project. 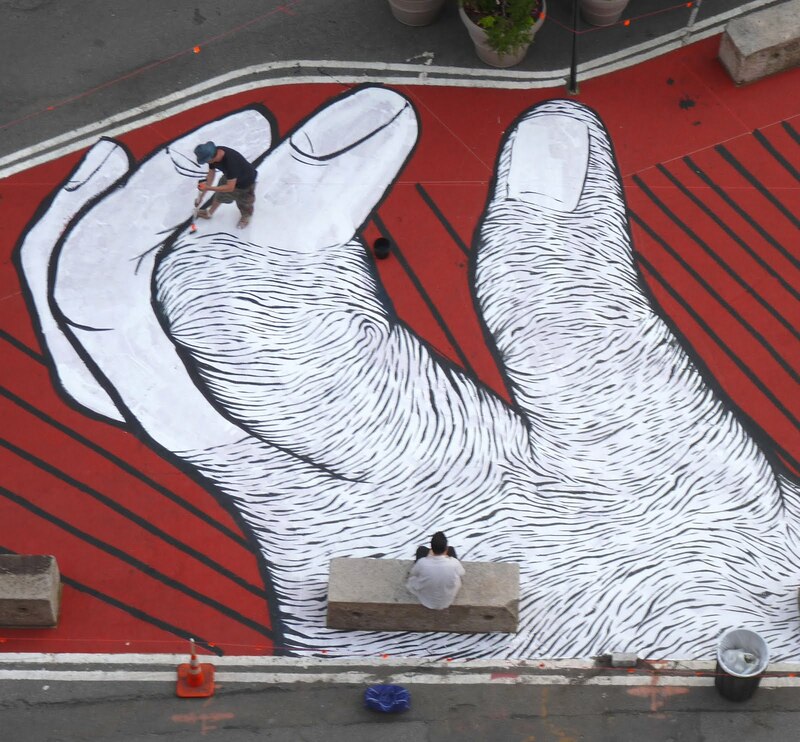 On each day of the installation, the work will change as Ellis paints new layers of design. 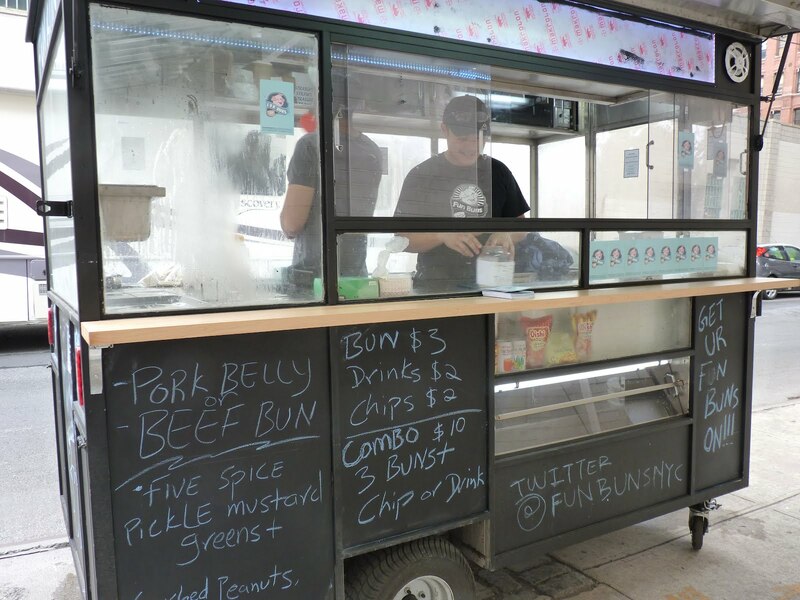 Today is Thursday, and DUMBO hive workers are looking at Fun Buns, Chinese Mirch, Mexico Blvd, and a couple other lunch truck choices. 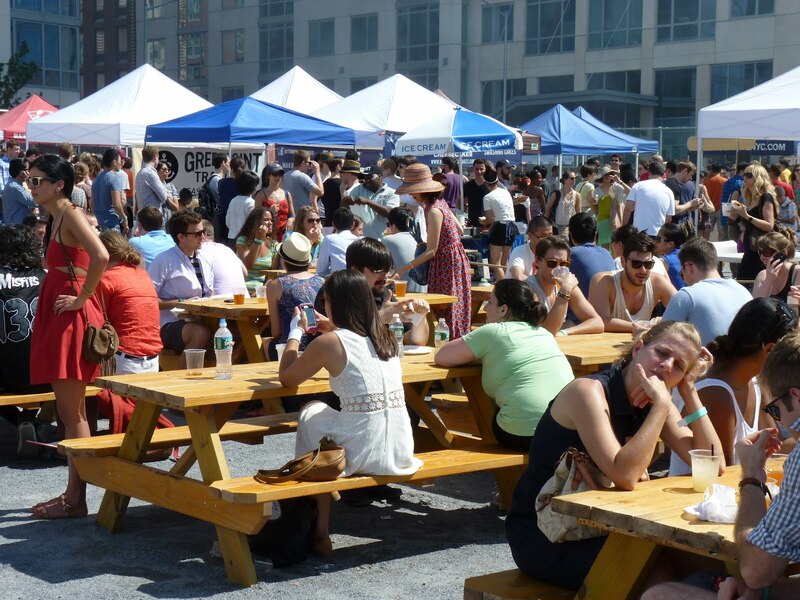 Dumbo NYC did the spread sheet thing and compiled a food truck schedule for the summer season. We notice lots of good choices most weekdays except for Fridays, when just Korilla BBQ and a few random trucks fly by. 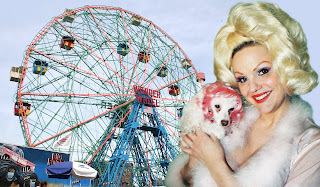 It's a little Brooklyn tradition: Terrify your pet by dragging its shivering body onto Deno's Wonder Wheel on Saturday June 16th for Deno’s Wonder Wheel Park’s annual Pet Day. Pets ride free when accompanied by their owner from noon-7 p.m. Hang onto the little wrigglers! Because at 2 p.m. you can both put on your wigs and enter the Coney Island Pet Costume Contest on the Boardwalk, hosted by The World Famous BOB and judged by proud pet owners Bambi, the Mermaid of Coney Island; and Miss Cyclone, Angie Pontani. 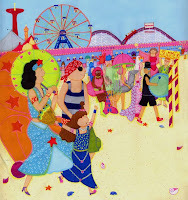 The contest will be followed by a pet procession through Wonder Wheel Park. More here. 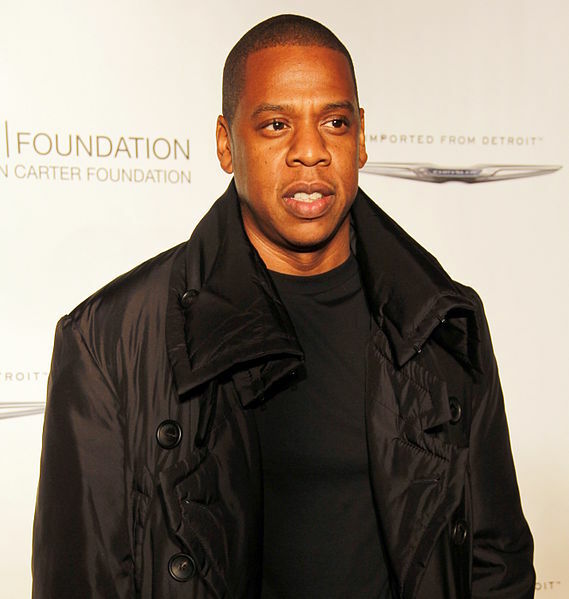 Jay-Z has been listed as director of Barclays Arena LLC, the NY Post reports. The news of Jay-Z's new title emerged as arena officials confirmed that they would extend drinking hours till 2 a.m. at the Barclays for VIPs. Local representatives had complained to the liquor authority that Barclays representatives never informed the boards about late night booze for the high rollers in arena restaurants, luxury suites and VIP seats. A major photography event dubbed Photoville will take place in Brooklyn Bridge Park from from June 22 to July 1. 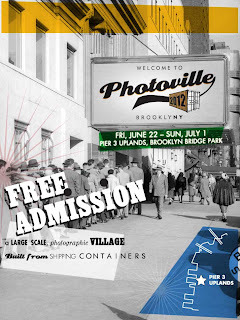 Photoville is a "village" of more than 30 freight containers transformed into temporary exhibition spaces for photography from around the world. 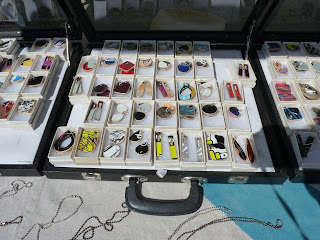 The exhibition begins at Pier 1 and continues along the walkway to the uplands of Pier 3. The event features exhibits, lectures, hands-on workshops, nighttime projections, a weirdly elaborate photo dog run, a camera art "greenhouse," and a summer beer-garden with food trucks. - The New York Times will present a group exhibition that spans from the 9/11 disaster to the present, with emphasis on the wars in Afghanistan and Iraq. - The Magnum Foundation will present Bruce Gilden and his series "No Place Like Home: Foreclosures in America" as well as Beijing-based Sim Chi Yin and her series "China's Rat Tribe," which peers into the lives of young migrant workers literally living underground in Beijing. 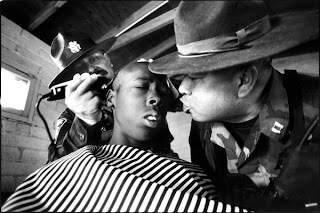 - “Cruel and Unusual” takes a look behind prison walls through the work of eleven photographers. 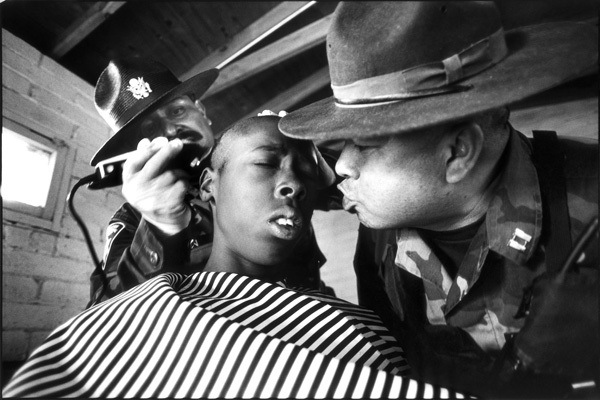 - Rock Paper Photo will present "Blinded By the Light," a group show that features the work of 25 music photographers and spans the 1960s to the present. Consult the directory for the large number of artist talks. They range from a talk about Li Hao Worshippers at the Jokhang Temple Square in Lhasa to BagNewsNotes' “The State of the News Photo.” More talks here. 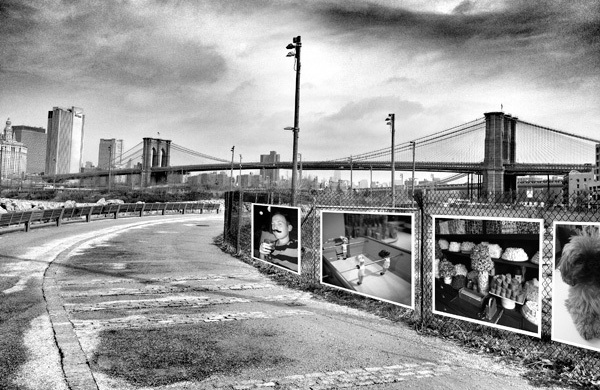 In addition to the shipping container show, "The fence" is a summer-long outdoor photo exhibition, 1000 feet in length.